Fear is a God-givin response to danger. And loathing is a natural response to distasteful things. And this election is overflowing with both. But not all fear or loathing is bad. Fear of a dark alley at night is proper. And loathing a visit with your angry and argumentative cousin is to be expected. The former you avoid and the latter you endure for a greater cause. The same holds true for this election cycle. The loathing part is easy to agree with: many people loath the practical choice before them. Some loathe it so much they would rather vote third party or not vote at all. But loathsome choices are part of life. And we often make loathsome choices because the alternative is worse. Work for this company, not that one. The first is run by a an LGBTI throuple, the second has a womanizing boss. Both offer enough money for your family to survive in a broken economy. But such loathsome choice tear at our souls. As with Lot our society vexes us (2 Pet. 2:7). Sure we would rather give our time and effort to a Christian boss at a Christian company but we do not have such a luxury. If Clinton becomes president, the transformation begun by Obama will accelerate. And we and our children and our children’s children will have more loathsome choices, the like of which few can fathom. Loathing our choices can be tolerated but what of fear? Should we vote out of fear? But fear of poisonous snakes is nowhere commended in the bible but we know it is a good thing. God gave a certain kind of natural fear of harm to keep us safe. Such fear does not have to be paralyzing nor idolatrous, just simply a realization that there is danger and that such danger should be taken seriously. But when Christians denounce fear with pious talk of “trusting God” even as they refuse to make loathsome choices, there is a problem. It is not godly to ignore fear rightly considered any more than it is godly to have fear consume us. It is not godly to ignore the immediate dangers of a progressive Supreme Court. Especially in conjunction with the increasing pressure on Christian lawyers by the American Bar Association. And throw Soros’ money into the mix as well as 13 Supreme Court rulings which could be overturned and more “rights” to be discovered, like pedophilia (I am not a sensationalist, read it), then we have the stuff of end-time’s madness. No, the American church will not survive 30-40 years of a judicially active SCOTUS nor four more years of Obama-Hillary corruption and appointment of more such judges. Of course, this all hinges on the word ‘survive.’ We are not called by the Eight Commandment to merely survive but to thrive if we are able (read LCQ 141ff.). We should be content with God’s will. But we should not be fatalists either. 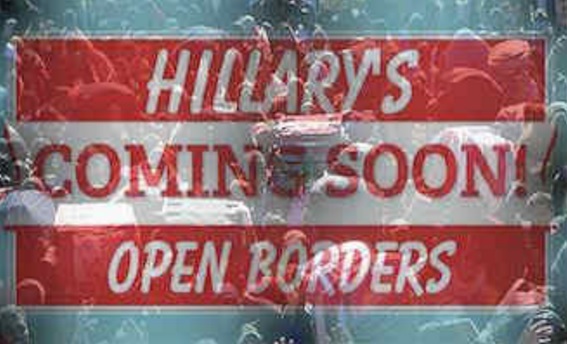 It is not godly to ignore the immediate dangers of the dream of Hillary Clinton and Goldman Sachs: open borders. This is a more pressing issue than SCOTUS in many ways. And more dangerous too. The vast majority of Latino immigrants vote Democrat. Should we not fear losing our influence to vote for our own good? 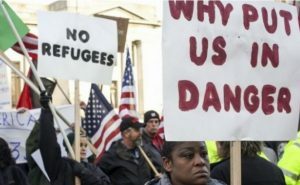 The vast majority of Muslim immigrants vote Democrat. 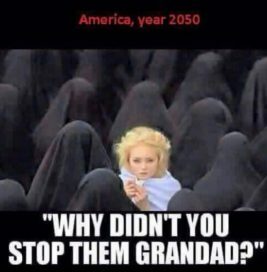 Should we not fear a populace open to Sharia law? And Obama just told illegal immigrants that if they vote, they won’t get caught. We can collectively ignore bad laws of SCOTUS but we cannot ignore a growing population that is radically non- and even anti-American in the conservative sense of the word. Multiculturalism is a failure. Ask the Brazilians. And open borders creates more fear and tension. Ask the Germans. Where are the original churches of Ephesus or Corinth? Gone. Their societies morphed. Empires collapsed. Languages changed. And those churches ceased to exist. Who’s to say that cannot happen in America? We tend to think of the church in either the abstract (the church can stand the gates of hell) or in the immediate particular (our local home-church). But what about our national existence? And what about the fact we are American churches and not Latino, Canadian or Japanese? There are no Latino OPC churches, even as many dream of them while (ironically) promoting a nativist foreign missions. And the PCA has a separate Korean Presbytery even as many repeat the multicultural mantra. The dirty, little secret of the American conservative churches, and that includes the Reformed churches, is our demographic winter. The Reformed churches are getting old and staying American. We have a hard time gathering conservative Americans to our churches let alone Latinos and Muslims with different cultures. When I see good Reformed church officers with children going the way of Sodom, we are already in trouble. Having more evil laws and a growing evil society will only make it worse. Local churches are locally situated and it is ignorance or arrogance that thinks we can live in a bubble, that God’s providence somehow bypasses millennia of social practice (rather it establishes it!). 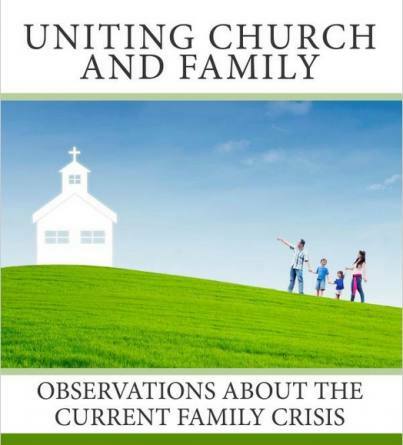 Churches are a leaven in society but not in an abstract, unidirectional way. There is a reason why local churches die. Who’s to say the American church cannot die? Who’s to say your church will survive? Remember the Huguenots? We loathe our choices this election season. But if our fears are aligned with God’s Word and priorities and the reality of our situation, then making a loathsome choice based on proper fear and prayer is a godly thing to do. 11-part Sunday school series, here.